I am a sucker for bunnies- they are so cute! 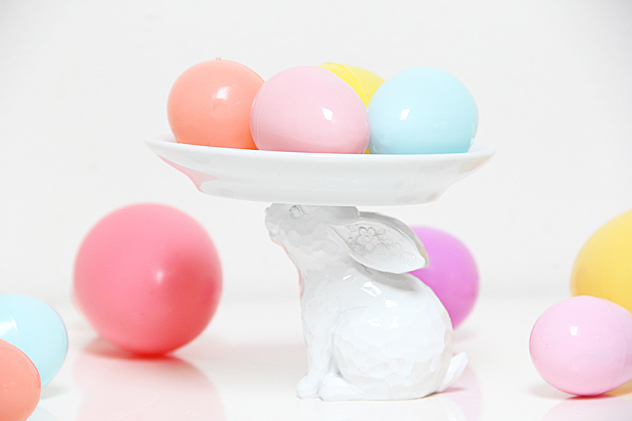 A bunny stand would be a perfect accessory for any Easter brunch! 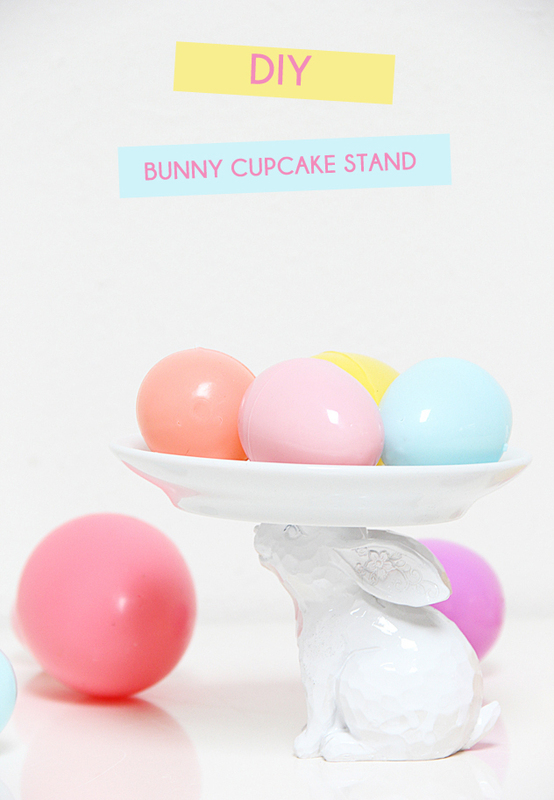 Decorative Bunny- depending upon what size you find, you can make it a cupcake or full cake stand! You need a bunny with a flat surface on its head of (about half an inch square) to hold the plate steady. If the only flat surface is the tips of the cute bunny’s ears, it will not work. Stores are filled with bunnies for the Easter holiday, so bring along your plate to test balance for the perfect bunny. 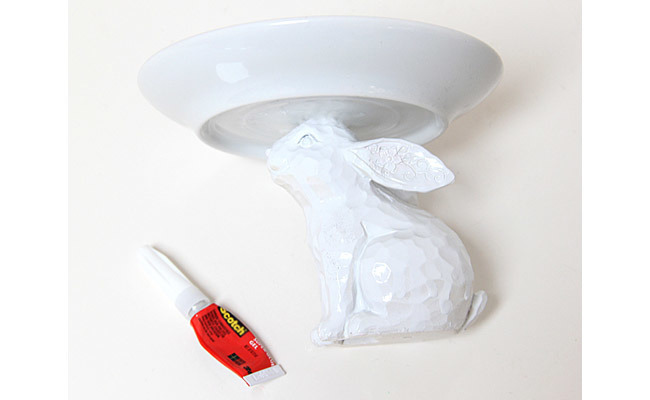 Super glue the bunny head to the bottom of the plate. (Other glues will work, but only if you are willing to hold it in place yourself for a long time.) Allow to dry and bond for a few hours. This post originally appeared on Wayfair.